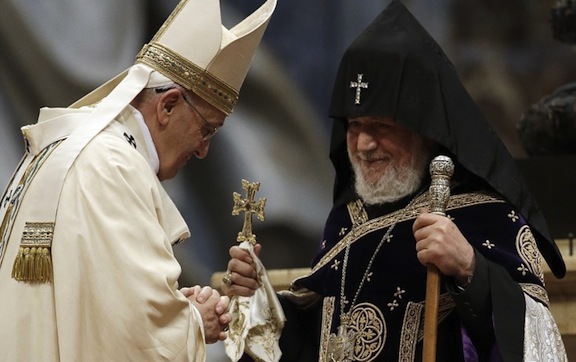 ROME—After much rumor and speculation, the Vatican confirmed on Saturday that Pope Francis will visit Armenia this June. Vatican sources say he will arrive in Armenia on June 24 and continue his visit until June 26. The Vatican also announced that the Pope planned to visit Georgia and Azerbaijan in the fall. That trip, sources announced, will take place from September 30 to October 2. Francis had expressed his desire to visit Armenia last November, during an airborne press conference coming back from his Africa tour.